Available with us is a wide range of Tissue Dispenser & Supplies, which includes hand towel dispenser, roll tissue dispenser and soap dispenser. These are attractive and available in various capacities to cater to diverse requirements of hotels, restaurants and hospitals. Manufactured using quality raw material, our range is easy to install and requires negligible maintenance. 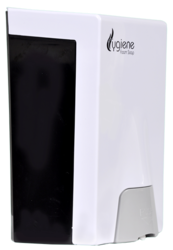 Customer Satisfaction - Hygiene Foam Dispenser will dispenses the correct amount of soap by one Press Button with less wastage and make the refill last longer. Cost efficiency – Hygiene Foam Soap Dispenser can consume three volume of foam soap refills. 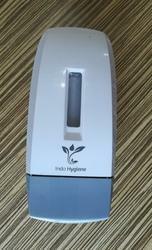 It is also a multipurpose dispenser which can be used as Hand Sanitizer, Seat Sanitizer and Foam Soap. Use age - Hygiene Foam Soap refills are easy to install and also durable, the biodegradable package of the refills inside the dispenser will ensure hygiene all the time. Color- Dispenser are available in different color and pattern which can look great on any colored wall. Technology - One dispenser 3 refills with 3 volume. Maintenance - It is Easy to Clean . It is Durable. Installation - Easy to fix in the washroom or wall and easy to install the refills. Country of Origin - Manufactured by Hygiene Fresh. Locked - The dispenser is locked and has a key to open. Easy to open with the key. A great application to be installed at bathrooms, restrooms and kitchens, this stylish looking soap dispenser is perfect for both residential and commercial use. It is developed from sturdy ABS material and features 500ml soap filling capacity. It efficiently dispenses soap amount for a single use and lasts for a longer time. Our prestigious clients can order this highly durable product from us at an equitable price range. Hygiene Fresh Foam Soap is gentle to the skin, and the balanced formula allows frequent and effective hand washing. Our hand soap refill is a perfect combination of effective heavy-duty cleaning ingredients and nonabrasive bio-scrubbers delivered in a powerful foam format to clean all types of dirt and grime. It comes in a bio degradable pouch which contains liquid that comes out as foam hand soap and this foam contains moisturizers which leaves your hands soft and refreshed. The foaming hand wash refill uses metered pump technology that delivers optimum amount of foam soap which lathers well and can be easily rinsed off. With the assistance of our talented team of professionals, we are providing a high quality range of Kimberly Clark Foam Skin Cleanser with Moisturizers. Each refill provides up to 2500 hand washes for less servicing and lower cost in use. Kleenex® moisturising foam soap effectively cleans and cares for skin. The gentle, everyday formula is enriched with emollients to protect skin from dryness and irritation and is pH balanced for mild yet effective cleansing. This rich, luxurious foaming soap, with a pleasant citrus floral fragrance, provides a refreshing and enjoyable skin cleansing experience. Cost effective, high capacity 1000ml refills provide up to 2500 hand washes each, minimising maintenance time and reducing the risk of running out. Sealed, easy to load, cartridges protect the soap prior to use, helping to prevent contamination. The single handed push dispensers are compact in design and suitable for use in public facilities including hospitality, offices, hospitals and for food handling industries. 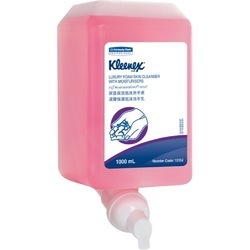 Kleenex® foam soaps, by Kimberly-Clark Professional*, form part of a wider range of washroom products designed to create a safer, healthier and more productive workplace. 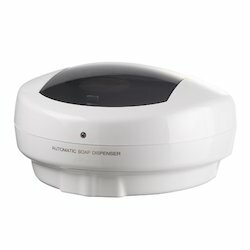 Looking for Soap Dispenser ?